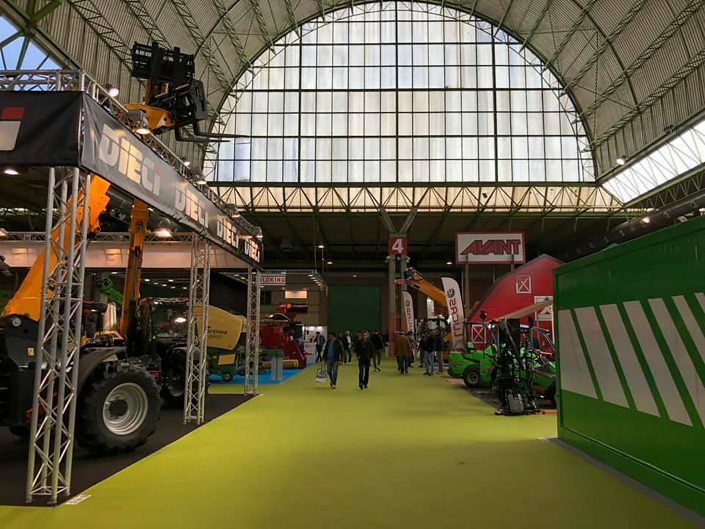 FIGAN 2019, the 14th edition of the International Animal Production Show held in Zaragoza, has ended after a successful four days that surpassed all expectations. 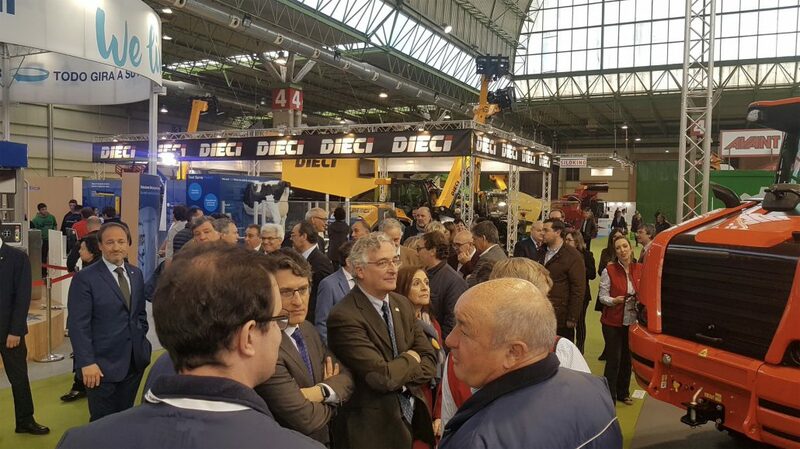 The event attracted over 72,000 visitors and, according to the President of Zaragoza Exhibition Centre, Manuel Teruel, is a reference point not just for Mediterranean countries (a natural market for Spain) but also for Latin American countries, whose massive presence this year was particularly noticeable among the 85 delegations of international buyers at the event. 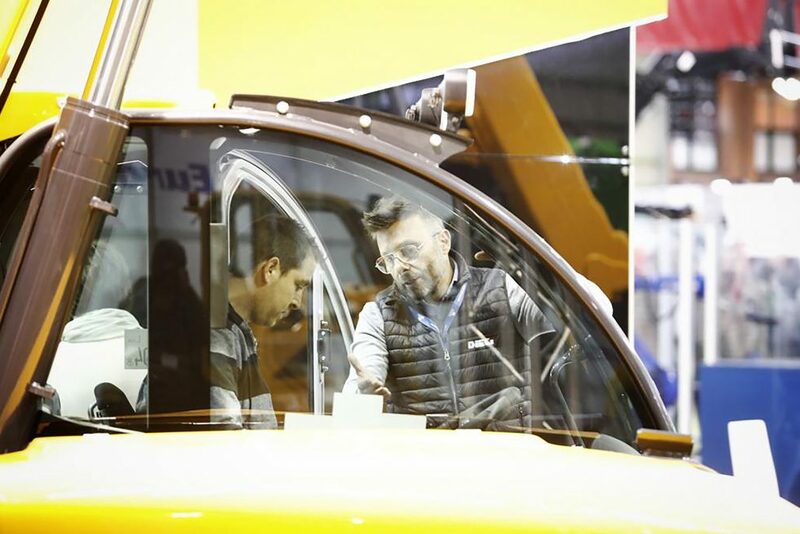 According to President Teruel, this year’s edition also stood out for the high quality and technical standard of the exhibited products and scheduled forums. 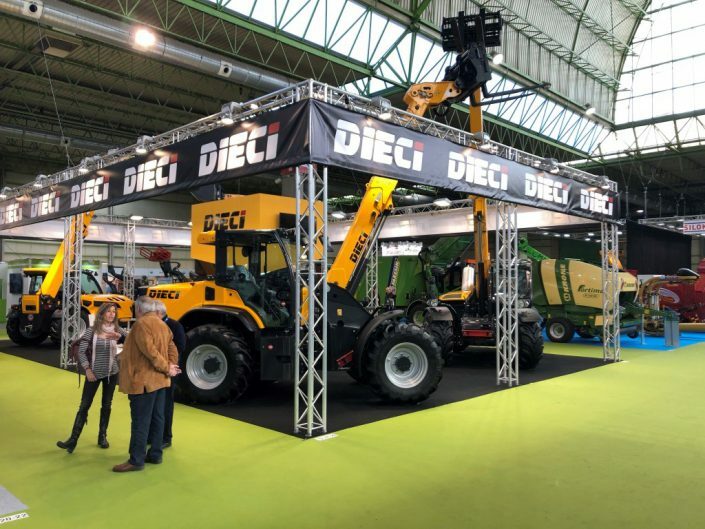 The quality and international reach of the trade show was also confirmed by the sizeable contingent of foreign exhibitors, who accounted for 394 of the 975 total exhibitors. 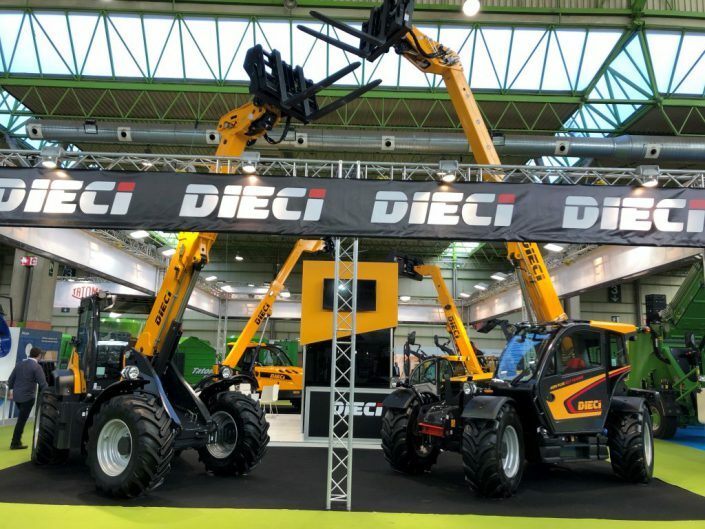 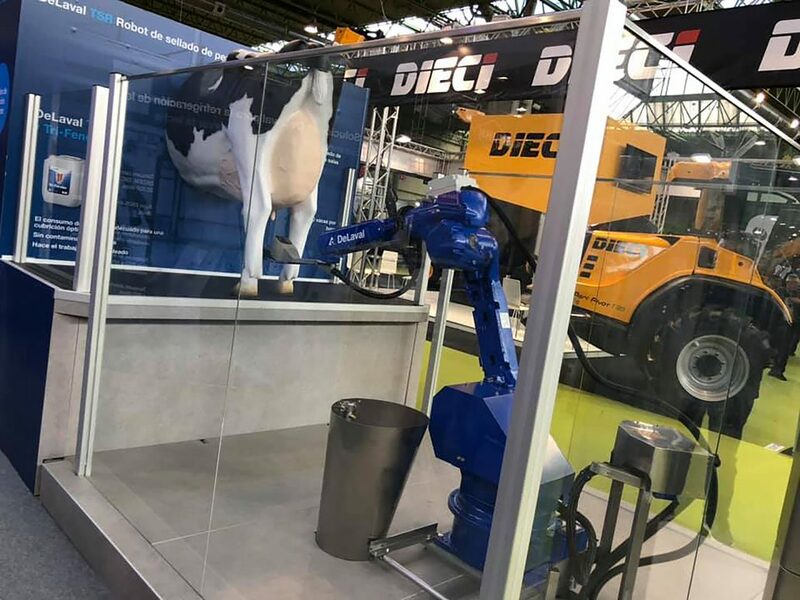 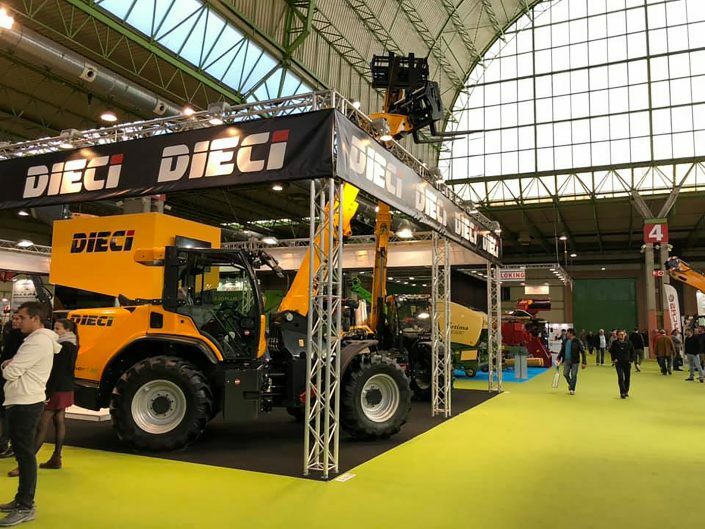 Dieci is proud to have participated in this prestigious event with its Agri Pivot T80—which was the real star of the show and attracted considerable interest among livestock breeders—and with the best of its range of telehandlers for the agricultural industry. 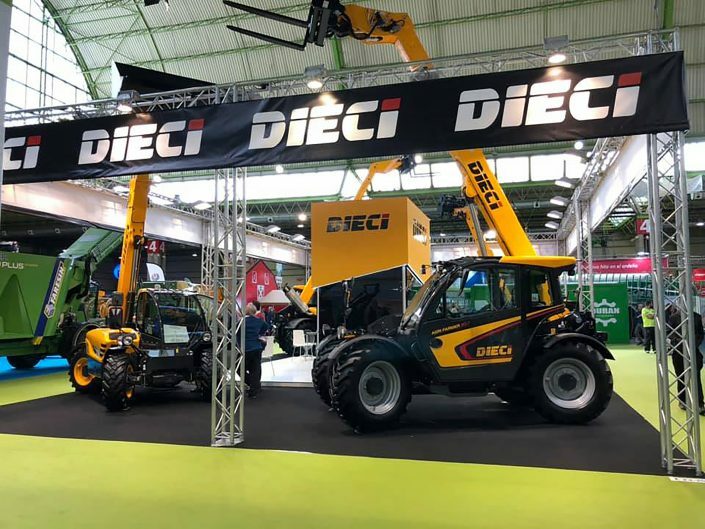 With results like these, Dieci is certain to return for the next edition in March 2021.